I'm looking for a new tractor for my 80ac property. is never plowed land (lots of stones!). - hay/cash crops the 30 ac. What size/brand of tractor would you recommend? plowing never plowed land (with lots of stones)? Would I be underpowered with JD5225 or M6040? I'd say 35hp is the lowest you'd want to go. As far as plowing, my 33hp New Holland hydrostat can pull a two-bottom plow in solid clay with no problems. I would think you'd want to go with 3, 4 or more bottoms, right? I know nothing about haying. Peter; I'd find the nearest Kubota or Deere deareship that you are comfortable with. They will know the local conditions and can better advise you on what size you need based on what type of haying an tillage work you waht to do. With all the buyouts, takeovers, and whatever else may be happening in the world of big business lets hope that Kubota and Deere will be around for the long haul to provide the service and repaire we will need. I would be real cautious about buying an import of some kind who's dealers may be here today and gone tomorrow leaving you with a parts orphan not to mention the resale value, both Kubota and Deere will hold the value real well. You mentioned wanting to get a backhoe for your tractor, both Kubota and Deere build a backhoe attachment for their tractors that has a good solid mount system that is quick and easy to mount and dismount. Enjoy your new tractor. Frank. I know almost nothing about haying, but from listening to guys that do I'd guess that 45-50hp would be about the minimum. Someone probably makes small haying equipment suitable for smaller machines but with the size of your property it would probably take forever to get the job done. I know what we've been seeing in this area and a 6040 would do what you need. I often recommend picking or removing stones by one method or another. They can ruin haying equipment! Thinking of the hay for a cash crop, it will be years to pay for the equipment and at that acreage it can actually turn into a frustration. In this area of North Dakota, haying is now a BIG operation. Bales weighing more than a ton each is a very common thing. It takes big equipment to handle and move those bales, which most people simply don't have. The hobby farmers and the suburban horse owners don't have the equipment to move those huge bales around. Therefore, the smaller square bales of yesteryear are in now in high demand. Those who make the smaller rectangle straw and hay bales are getting a premium price for their hay, as those small bales are all but impossible to find these days. With 30 acres of hay, it's possible that you might be sitting on a gold mine. However, the farming and ranching techniques may be different in your area, making square bales a much more common commodity. 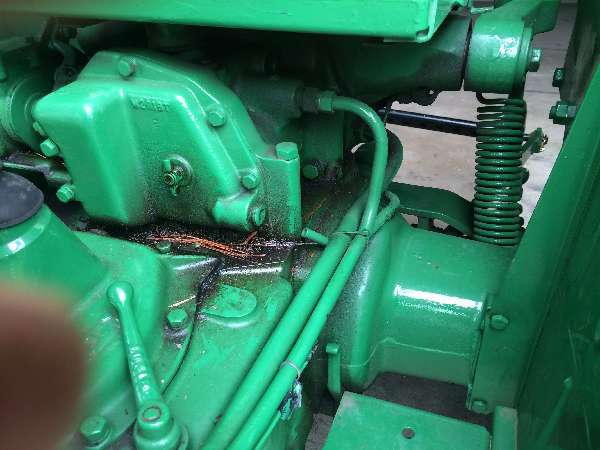 If you're willing to put some time and effort into fixing up and restoring an old baler, it could pay off for you, with little upfront cost. Those old square balers go a dime a dozen around here at auction, but they all need work. Your proposed HP range sounds right. Smaller can do everything bigger can, but slower, so the value of your time is also a factor. You'll need traction, so in this size range you'll want ag-tread tires and 4WD capability. A FEL is worth the cost, and needed if you get a rear hoe. All the work is done by attachments, they can add up to as much as the tractor, and choosing and installing the FEL is not a DIY project for most owners, so get a package deal. Haying has local customs, so get the advice of farming neighbors and dealers. Before plowing you might want to use a rock-remover.